A look at some of the key takeaways from Friday night’s narrow loss to Collingwood. Hayden Crozier and Aaron Naughton lit up the MCG with their high-flying feats on the big stage, sparking a lift in the Bulldogs in the third quarter. Naughton took several pack marks in the term, with the highlight his spectacular launch from three-deep on the members’ wing. But he was outdone by Crozier, who launched into the night sky to take a mark of the year contender over Jamie Elliott, juggling the footy on his way down and jolting memories of his famed hanger in the TAC Cup. He may have been on the wrong end of the hitout battle, but young ruckman Tim English continues to show all the signs that he will be a quality long-term prospect for the red, white and blue. The 205cm big man showed incredible touch at ground level and an ability to get involved in the Bulldogs’ scoring chains. Against Collingwood he racked up a season-high 17 disposals and took six marks. And he applied six tackles, taking his average this season to five per game. It’s easy to forget - the game against the Pies was just the 13th of his career, and he’s 21 years of age. But for a couple of missed kicks or shots at goal over the last couple of weeks, the Bulldogs could conceivably have chalked up four wins to start the season. 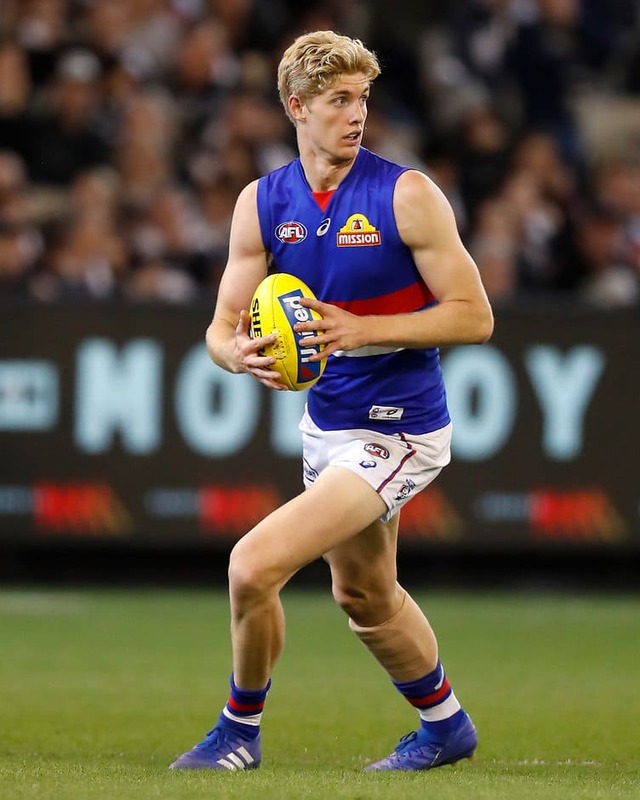 After a very narrow loss to the Gold Coast Suns, the Dogs led the Pies heading into time-on in the last quarter on Friday night footy, only to be overrun in the final minutes by a more experienced opponent. It shows that the game plan works, and when executed well, it clearly stacks up against the best teams in the competition.